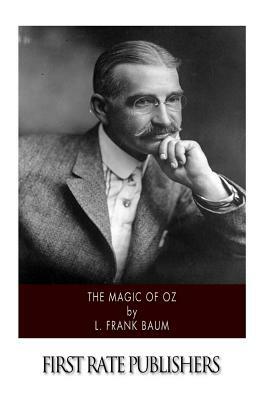 Lyman Frank Baum (May 15, 1856 - May 6, 1919) is one of America's most read authors, and he is widely considered one of the premier authors of children's books. Baum wrote dozens of novels and short stories, as well as hundreds of poems, and he even foresaw technological innovations such as computers, televisions and mobile phones, all of which made their way into his writing. Baum, however, is still best known and best regarded for The Wonderful Wizard of Oz, and several other titles that took place in the fantasy world of Oz. Every American is familiar with Dorothy and Toto, and Oz has been adapted for movies, screenplays, and more ever since. The Magic of Oz was the 13th book of the series, released one month after Baum died in 1919. It has obvious parallels to World War I, detailing the attempt of Kiki Aru to conquer Oz.